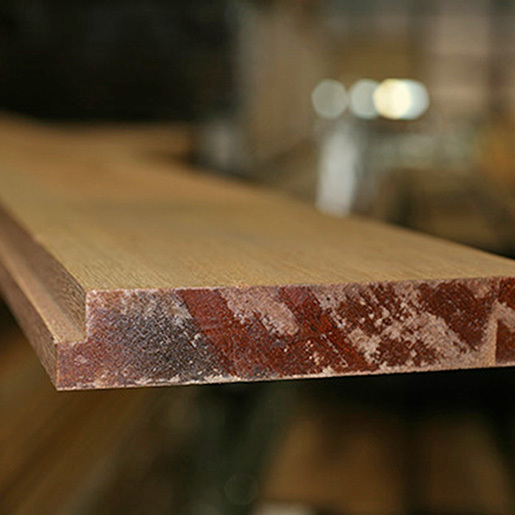 Asian Apitong has been the traditional wood of choice for flatbed truck flooring for at least 25 years. 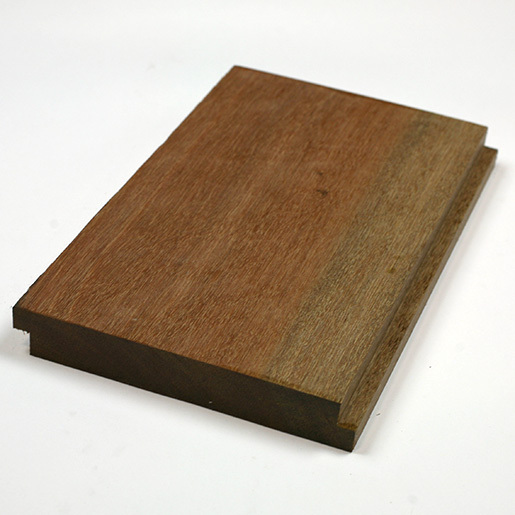 As standard flatbed flooring, Apitong is usually used as solid, plank flooring. Most commonly in a shiplap form, this flatbed flooring will typically vary from 1-1/8” to 1-3/4” in thickness with widths typically 5” or 7”. Solid shiplap flooring is typically used in lightweight flatbed trailers where product weight, durability, strength and price are the major concerns for manufacturers. Lengths are an important factor in selecting solid hardwood truck flooring. Tropical hardwoods will typically average at least 12-14’ in length. Splices must occur on cross members, which are typically between 12” and 24” center to center. One US manufacturer is finger jointing solid planks up to 53’ in length so that trailer manufacturers do not need to deal with random length boards; the average length of the planks before finger jointing is around 12’. Do not confuse solid plank flooring with laminated truck flooring (LTF). LTF is strictly used in dry van trailers and is not able to withstand exterior exposure. The LTF market is substantially bigger than the solid plank flooring market; mixed light hardwoods from Southeast Asia and domestic Red Oak and the main species used in LTF. Typically the LTF manufacturers will use 5/4 or 6/4 x R/W raw material, S2S and straight line rip the material, and then they will cut hook joints on the ends of the strips. These strips are then laid up into a continuous panel that is edge glued together. LTF is generally run 12” wide with a shiplap and can be made as long as 53’. Apitong typically comes from Indonesia and Malaysia. It is imported into the United States as both rough material and as finished product. Shipping from Southeast Asia is done by containers and by break bulk vessels.